As a staffy owner, you understand by now that staffies are a very energetic breed and sometimes you need to get creative regarding their exercise; especially, on those rainy days where going outside isn’t a lot of fun. However, even on those days where you or even your pup may not want to go out, it’s still important to somehow give your staffy their daily exercise fix. After all, you want to keep them active, healthy and prevent them getting overweight. 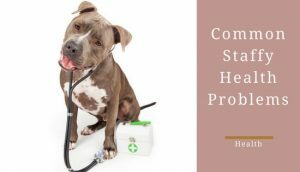 This article’s going to provide you with multiple dog exercise options in order to keep your staffy both healthy and in shape. 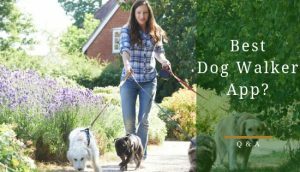 Let us start with the most obvious type of exercise for dogs, on-lead walking. 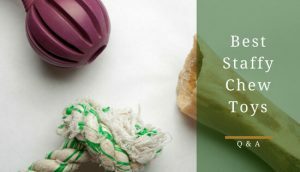 This exercise has always been a favorite for dog owners all over the world because it allows you to exercise along with your dog. Essentially, on-lead walking becomes a bonding experience between you and your staffy. It’s something you both can enjoy together. Moreover, it allows your staffy to interact with nature through sniffing and seeing the sights around them. 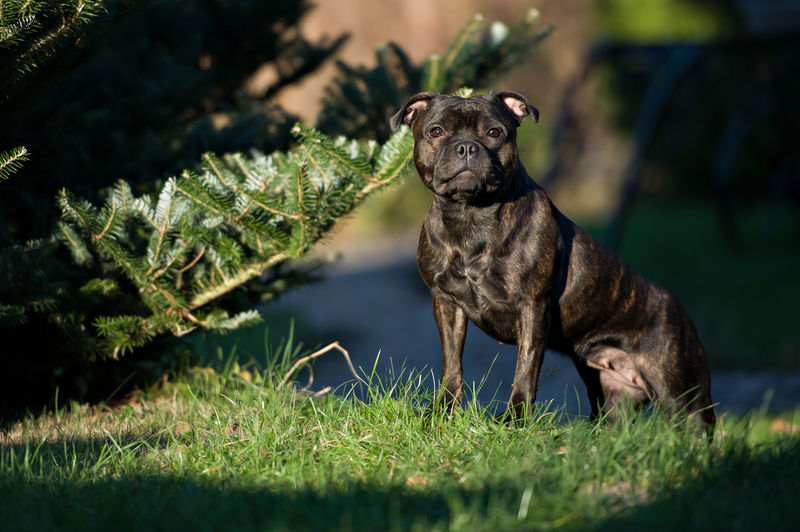 However, staffies tend to get over-excited and start pulling on the lead causing on-lead walking to be a real pain for staffy owners; they are really strong dogs so having them pull on their lead is a real work out for their owners’ arms and shoulders. 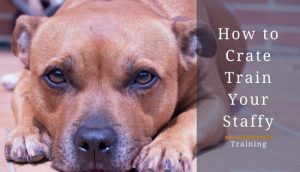 Fortunately, there are ways to fight against your staffy’s pulling such as investing in a harness or lead that will stop your staffy's pulling. 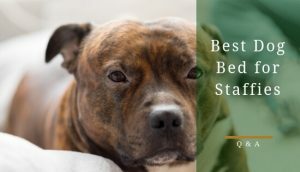 So, go invest in a harness or a pull-preventing lead (you can view our article of the best harnesses for staffies here) and hit the streets with your staffy. They will absolutely love it! If you’re going out for a jog, why not try taking your staffy along? It will allow your staffy to work off all that stored up energy, while, giving them a nice fix of exercise. Hopefully, all the running should help keep your house from feeling the wrath of an under stimulated staffy. 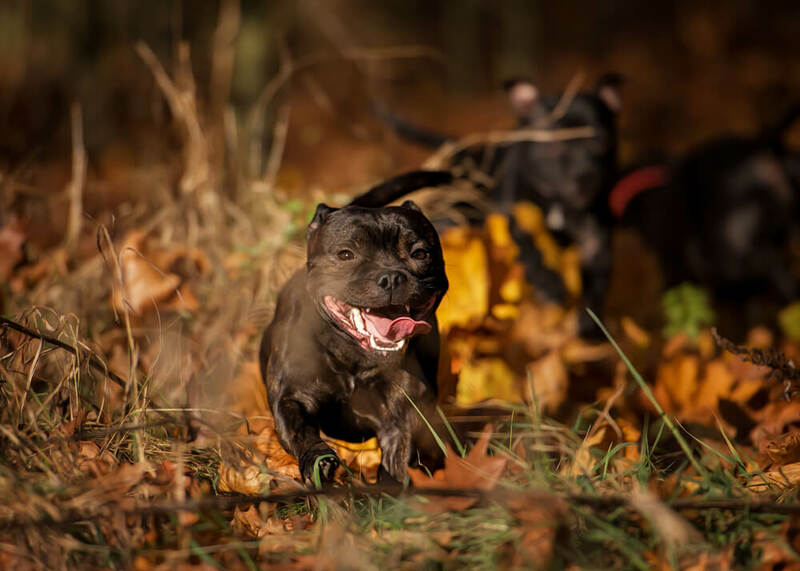 In addition, just like with on-lead walking, on-lead running will give your staffy an opportunity to explore nature; of course, this time it will be at a much faster speed. 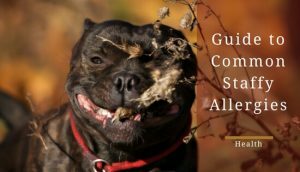 However, pulling becomes a more dangerous problem at higher speeds through it increasing the likelihood damage to your staffy’s throat will occur. Therefore, it’s important to make sure your staffy doesn’t pull on their lead before taking them for a run. 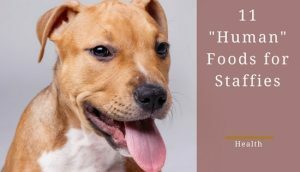 First, take some of your staffy’s regular dry food from their bowl at dinner time and put some cheese or peanut butter on each individual piece of food for an added and different scent. Then, proceed to hide them all over the garden or around your house. This will give them a great deal of exercise while they run around trying to find their food. In addition, it will exercise their brains and other senses through them trying to puzzle out where you hid their food. Also, it’s quite funny to watch them fumble around the house or backyard scouring every inch for the next piece of kibble. More importantly, it will keep them busy for hours because they’ll need to make sure they didn’t miss a single piece. 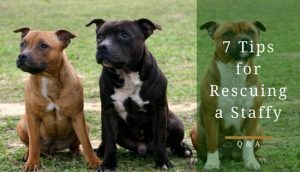 In the end, the scavenger hunt is a fun and effective way to get your pup some extra exercise, especially, for staffies that are already overweight. Of course, don’t forget where you hid the food in case they do miss some. If you don’t have enough time for a full walk or run, walking/running up and down stairs with your staffy can be a great way to keep them exercised and burn off that excess energy. In addition, it will benefit you by making your legs stronger and more toned. Also, you can change up how you take each step to make a more difficult workout for both you and your staffy. Now, if you live in a one-story home and don’t have any stairs, perhaps go to a local park or somewhere that has a few steps and run up along with your dog. After all, why wouldn’t you want to work side by side with your staffy toward becoming healthier and in better shape! Dog tag will end up being a fun bonding experience and make both of you extremely tired. It’s a simple way to offer your staffy exercise without having to go anywhere or do anything extra. Dog tag is perfect for when you’re running short on time and need to get your staffy some much-needed exercise. Also, it’s really fun for both of you. Another plus is you can play inside as long as you’re careful. Put your staffy in the car and head to the trails for a hike. Hiking will allow them to experience actual nature, while, exposing them to rougher and more challenging walks. In fact, you might need to bring more water than you usually do on walks due to the rougher conditions the trails provide. After all, your staffy will be extremely excited to get out and experience this type of terrain. Hiking in new surroundings will also help keep your staffy from getting bored; boredom leads to things like digging or chewing up the furniture. Of course, be sure to keep your staffy on a lead if there are other dogs around; off-lead dogs can be a real nuisance for other dogs, especially, those who are prone to anxiety. Everybody knows what fetch entails; you throw some ball or toy across the yard and your dog gets it and brings it back. However, you should add the element of a race to the game of fetch. For example, grab your staffy’s favorite toy and throw it. Then, proceed to race your staffy to get it. The new element of a race will add a new incentive for your staffy to keep playing along. Furthermore, you can wrestle around with them for the toy at the end of the race to add more of a challenge for your staffy. It’s all about trying to get your staffy more excited about exercise. The more you’re involved, the more excited your staffy will become. Moreover, this is another type of exercise that you don’t even need to go outside for: making this especially useful for rainy, miserable days. Sometimes, you just may not have the time to get your dog out on the lead or to employ some of the other methods above. 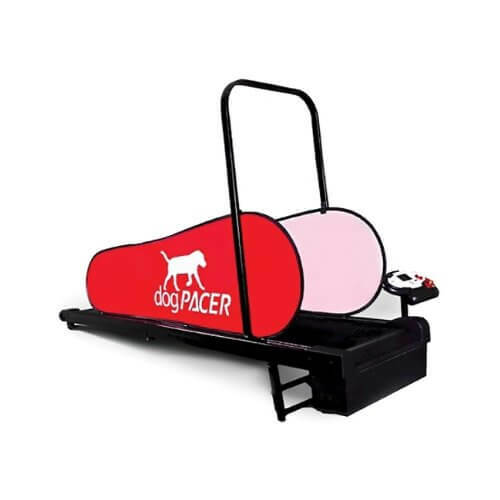 If you want a very simple (but more expensive) way of getting your dog all the exercise it needs from the comfort of your home, a dog treadmill can be extremely useful. As mentioned, a half-decent dog treadmill is certainly not cheap, but it should provide almost endless exercise opportunities for your pup. And, if you can’t take a dog out yourself, the treadmill will work out cheaper than constantly hiring a dog-walker in the long run. The treadmill pictured above is one of the better options at a more reasonable price. Of course, there are others with more features, but you can expect to pay more for those. It is available from Amazon and you can click here to take a look at it. 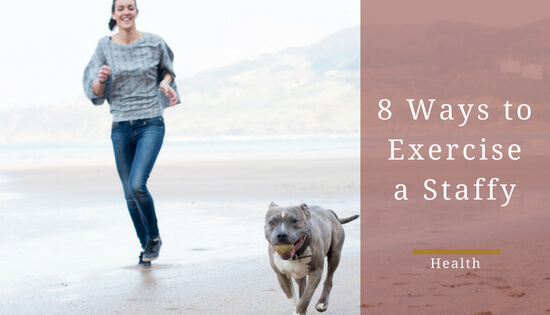 I wouldn’t recommend relying only on the treadmill since your dog will love being outside, but it is a great option for extra exercise or those times when going out is simply off the cards.